Web applications are usually built starting from incomplete design documents and proceeding directly to implementation for some specific software platform. The resulting application is usually difficult to change or extend. Although several methodologies have been proposed in the last few years, most of them use a concrete approach that leverages the features of a specific software platform or concrete Web elements. Model-driven development proposals, on the other hand, are difficult to adopt. 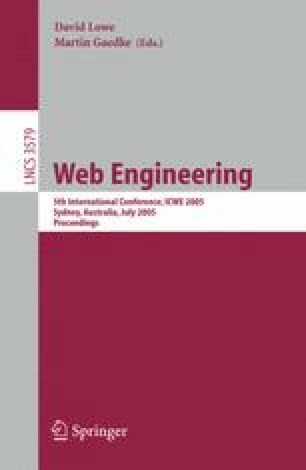 This paper discusses a successful intermediate approach that allows the designer to work with abstract artifacts that can be readily mapped into any MVC-based (application) framework, independently of which software platform is used. This methodology is simple and easy to learn, even by those who are not platform experts. We present it in terms of a real-life running application for use by local governments in Chile.